Advanced Functionality to Reset OLD password and Allows to Generate Newer one. Support All Windows Operating System i.e. Windows 10, 8, 7 and so on. 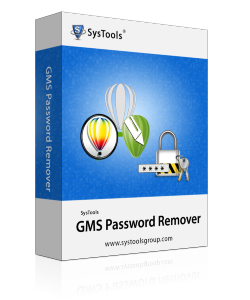 The GMS password removal software provides the quick solution for the removal of the password from GMS files. For the same, User needs to select the specified file whose password need to reset. Only one file can be selected at a time for password removal. After the successful removal of the password from GMS file. The software provides the functionality to generates the new strong password for the GMS file. By using the newly generated password, you can easily have the access to GMS file again. The GMS password remover software does not impose any type of limitations on the length of characters used in creating the password. So you do not need to worry about the length of the current password. Software removes passwords from GMS file automatically. The GMS password unlocker tool allows to reset or recover password of GMS file composed of multiple different character sets such as symbols, digits, special character or the combination of all of them. Software does not affect any data store in GMS file attempting to remove passwords. The Software actively supports all the versions of CorelDraw graphics suite versions. Using the GMS password remover tool helps to remove and generate new passwords for GMS file of versions such as x4, x5, x6, x7, x8. Does the software maintain the integrity of GMS while recovering the password? Yes, For sure software maintains the integrity of the GMS file as original formatting. Is there any possibility of corruption in the file while using the software? There is no need to worry about the corruption issues. Software follows the exact advanced algorithms to safely removes GMS file password. Does Software support the latest version of Windows Operating system? Can I recover the password from corrupted GMS file using the software? Which CorelDraw graphics suite application versions support by the software for easy recovery? The GMS Password Recovery tool Supports almost all the versions of the CorelDraw applications such as x4, x5, x6, x7, x7. Where does software saves the newly generated password? The Software provides the complete details about the software in status which is generated after the successful removal of GMS file password. I have owned the company which deals in graphic designing for prestige clients across the world. But unfortunately, one of my colleagues met with an accident last month and died. We have lost one of our sincere and dedicated employee. He has protected the GMS file using the multilingual passwords. But due to an urgent deadline, We had to deliver the project at any cost but graphics designed by him at most required. So I was looking for the solution that can easily remove password from GMS file. Then one of client partner recommends to use CorelDraw GMS Password Recovery tool. Thanks for such nice software. I am working as the graphic designer trainee at large MNC. My team lead has assigned me some projects. I have designed few of them and save it using the password. But unluckily, I have lost my passwords. I have tried all the quick hacks to remove password from it but failed at each attempt. I have to complete all the tasks given to me on the exact time deadline. Therefore I was in need of a quick solution to remove password from CorelDraw GMS file. Then My team leads itself advice me to use the GMS Password remover tool. Genuinely, I was amazed to saw the performance of the software. Therefore I would like to recommend it to all of my colleagues and relatives as well.